Campers around the country require up-to-date license plates. Campers come in a variety of configurations. Converted trucks and vans, pop-up campers, mini-trailers, full-size campers, fifth-wheel trailers and motor homes all fall under the broad definition of a camper. Some campers are permanently positioned in RV parks and hunting camps across the country. Others regularly travel the Interstate highways and back roads from sea to shining sea. Each state has its own requirements for obtaining a license for a camper, but all require at least some campers to be properly registered and tagged before they can be towed on public roads. Acquire insurance. Georgia, among other states, requires proof of insurance to obtain a license plate for a camper. Schedule an inspection if your state requires it. Kentucky, for example, requires it of vehicles purchased out of state. Georgia requires it of all campers. Complete the application. Bring the title and bill of sale to the DMV. Pay the fees. The fees in Oregon are a $77 title fee if the camper trailer is changing ownership; an $81 registration fee for the first 10 feet of camper and $6.75 for each additional full foot; and a $12 license plate fee. 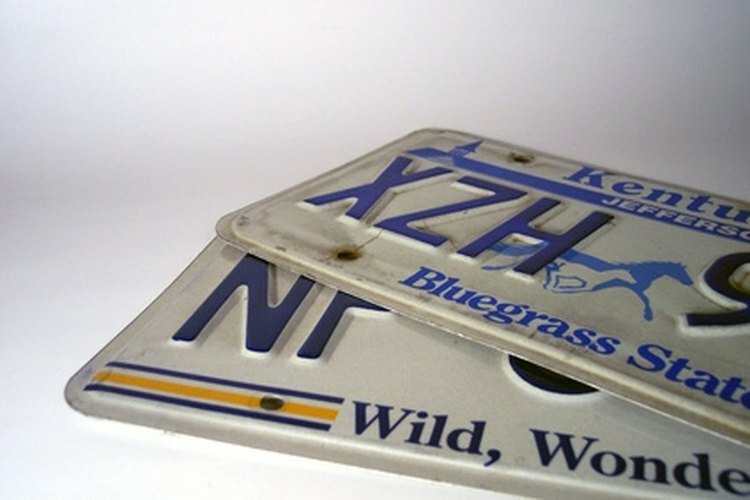 Most states do not require license plates for campers under 2,000 pounds. Note when your registration expires.